The "Standard Tilting Up/Down Controller" is an intuitive desk controller that features the basics: up and down drive of your UpDesk height-adjustable standing desk. 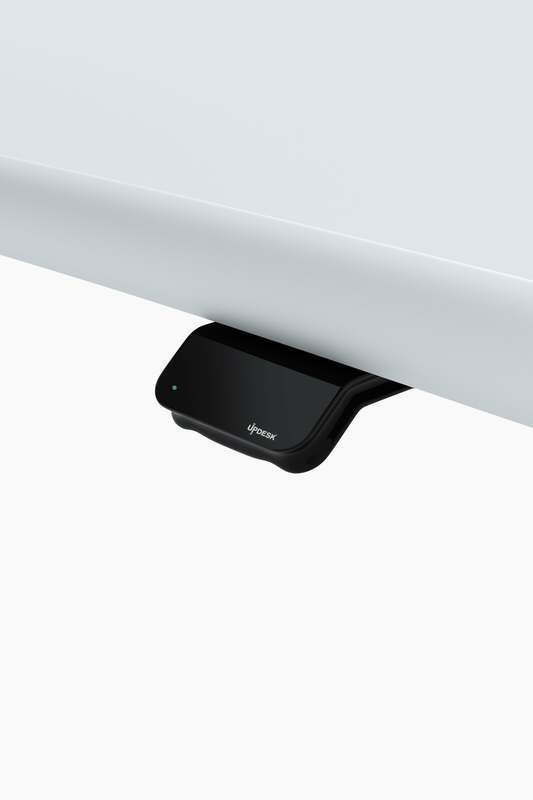 The controller is activated by tilting the desk controller in the same direction as the desk is intended to drive – which makes it extremely intuitive. The shape of the controller makes it possible to easily reach for it and adjust the desk without even looking. This way, you are not required to draw away attention from work while changing desk height positions. The "Standard Tilting Up/Down Controller" is small and simple, features modern design, and fits every office desk design. **All discontinued or UPDESKS on clearance are sold with a 1-year limited warranty on the frame and electronic components. No returns on sale items will be accepted for any reason. Ground shipping to the lower 48 USA included in listed purchase price. Tennessee sales tax (9.25%) applies to local residents. Due to the volume of inquiries, we are not able to accommodate requests related to viewing unique product selections prior to purchase. I now have two of these desks in my office. Very satisfied - a value.